From a 2013 reprint of the booklet 'In het Vondelpark', Heimans and Thijsse 1901. Het Vondelpark is a famous public urban park in Amsterdam. Thank you Hans Homburg for this reprint. 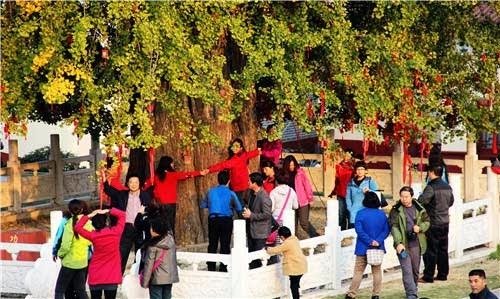 Ancient Ginkgo tree, 37 m height, girth 7.2 m.
Location: Tancheng, the county of Ginkgo, Linyi city, Shandong Province in China. Tancheng is famous for its large Ginkgo industry and Ginkgo festival. You can see a video here. This video shows the complexity and perfection of nature. 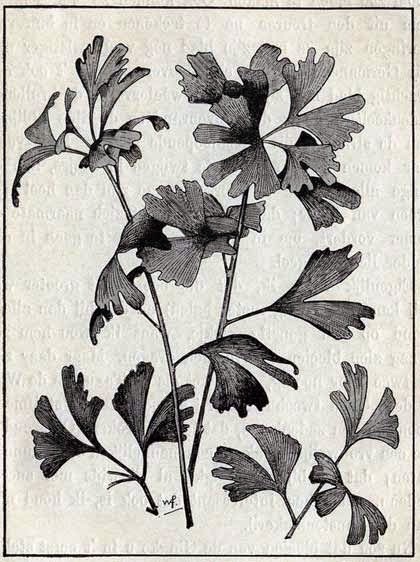 Featuring Ginkgo leaf nerves (starting at 24:15 minutes). 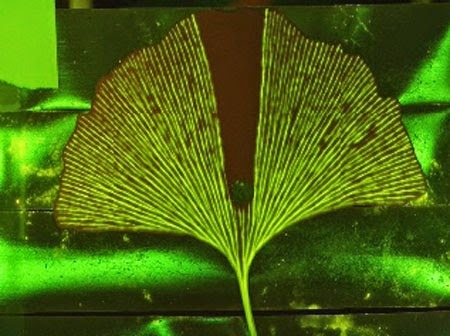 Ginkgo leaf without interconnected loops.